Young people who worship Japanese culture while denigrating their own. Noah (fictitious name) physically resides in an American suburb, but mentally he's in Japan, probably Tokyo. He spends nearly all of his free time watching anime, playing Japanese video games, reading manga, and listening to J-pop (Japanese pop music for teens). If a comic-con comes to town, he’ll attend it in a cosplay costume. Even Noah’s fashion sense is reflective of Japanese youth culture, which makes him stand out at his high school. Sometimes he’ll slip some of the Japanese words he's learned from anime, like neko (cat), into a conversation, even if the others have no idea what it means. It can be annoying. He gave up saying “hello” recently, and sticks exclusively to konnichiwa now. Noah has very little interest in his own culture, often making a point of disparaging it as inferior. He doesn't listen to Taylor Swift, and prefers not to eat American food. Some of Noah’s fellow students snicker about his affectations. They call him a “weeaboo” behind his back, a disparaging term usually applied to non-Asian young people who act like Noah—like through some cosmic mix-up they were born in the wrong country and must now bide their time until they can make it to their true homeland, Japan, which they're sure, based on loads of fiction they've consumed, is the new El Dorado. There's no use in trying to work out the etymology of the word “weeaboo,” which originally started off online as “wapanese,” a portmanteau of “wannabe” (or perhaps “white”) and “Japanese.” 4chan moderators often use a word filter system to change one word into another word. When they decided to substitute a nonsense word from a comic series for “wapanese,“ because some were taking offense at the word, “weeaboo” (often shortened to weeb) was born. Very few weeaboos have been to Japan. Their vision of the nation is shaped by the media they've consumed, which happens to represent only a small slice of the actual culture. For people who claim to be obsessed with with a culture, they know surprisingly little of it. It's like if a Japanese person were to base their entire conception of the United States on Hollywood movies—which certainly happens in Japan and elsewhere—they’d get a warped view of American society and culture. Most movies, just like anime, are designed as an escape from reality, not a depiction of it. Weeaboos are setting themselves up for disappointment if they ever make it to Japan, because it's not the nation they have in their heads. Weeaboos are often socially awkward and not psychologically well-equipped to handle the disruptions and stress of adolescence. Anime is the gateway into weeaboo-hood, but what is it about anime that attracts troubled teenagers? In just about every anime, there's a character that could be diagnosed with a mental or mood disorder. Naruto Uzumaki, one of the most popular anime characters, exhibits symptoms of ADHD. Studying is difficult for him, he's disorganized, tardy, and impulsive. Still, he has success because he's determined and has tons of energy. Many anime stories are about characters like Naruto, who are able to overcome their own afflictions and eventually triumph against all odds. Troubled teens can relate—they're attracted to the tales of hope. The Japanese have a word that's related to weeaboo—otaku—which has caught on in English, although its meaning morphed in the process. In English, the word is more benign, often referring to people who have an extreme interest in a particular topic, which could be anime or manga. “Nerd” and “geek” carry similar connotations. When you call someone in Japan an otaku, it's an insult implying that they stay at home all day and night occupied with solitary pursuits like video games, because they have no social skills. 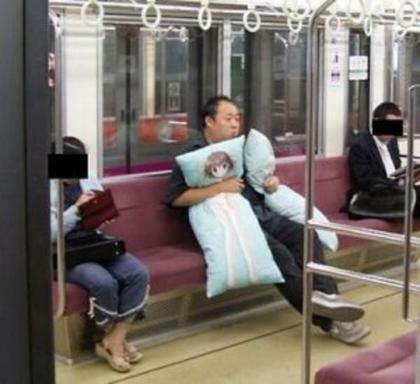 Many otakus leave their residences only when they have to. I've seen people describe a weeaboo as an extreme otaku, but they've reversed it. An otaku in Japan is one who’s given up on life, settling for isolation. It's a serious societal issue, where it's estimated that there are around one million young Japanese who never leave their homes, sometimes for years. Many of them will stay up all night, and sleep through the day, never seeing even their parents. Often their problems start with a traumatic event, causing them to withdraw. The longer it goes on, the harder it becomes to reverse. Weeaboos think they know Japan, but they have no idea what the flaw in Japanese society is that makes the otaku phenomenon happen. Weeaboos, who live in their own heads, are essentially junior otakus. You don't want to hit 22 and still be called a weeaboo. Saying konnichiwa isn't as cute as it might have been at 15, and anime is a rabbit hole you may find hard to get out of. Manga are an excuse not to read real books, and J-Pop’s some of the cheesiest music on the planet. Weeaboos don't age well.